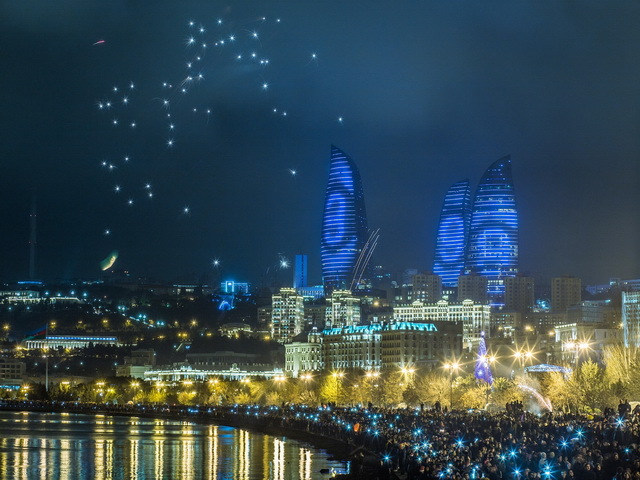 Five gifts that need to be brought from Baku, Azerbaijan. If you are lucky enough to visit the Land of Fire, this is how the locals call Azerbaijan, you need to try hard not to spend the first day all the available cash. If you walk along the streets of Icheri Sheher, the old town, and take a glimpse at least at one bench, and you will be lost among variety of the most unusual souvenirs. So what is the first priority to bring from Azerbaijan? special patterns, technology is kept secret and inherited from one forewoman to another. 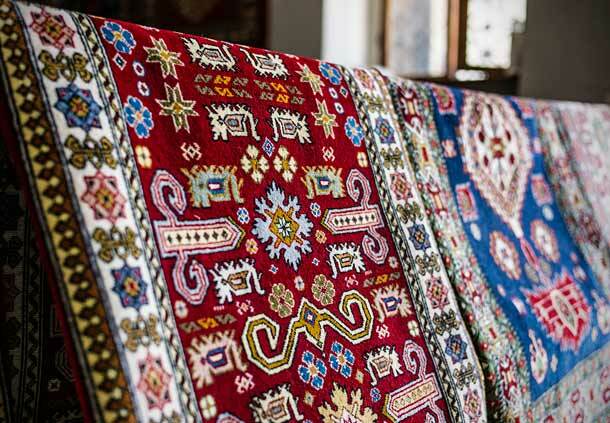 If you want to see the diversity of Azerbaijani carpets, visit the Carpet Museum in Baku. And if you want to bring home the real Azerbaijani carpet, walk along the Icheri Sheher. You might be surprised that carpets not only hang here but also lie right in the middle of the road. It seems that the sellers do not care that their product (rather expensive, from one hundred manats for the smallest and most simple mat) become dusty. They can sit on carpet or let the children to play on them. The reason is simple – the older looks the carpet, the more valuable it is. 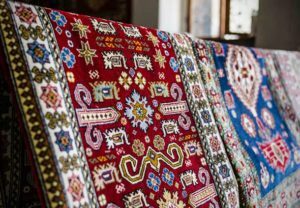 Although really valuable antique carpets you are unlikely to buy on the street, and even to take them outside of Azerbaijan will not work. But it is quite possible to buy replica for a long memory. Glasses “Armudy”. 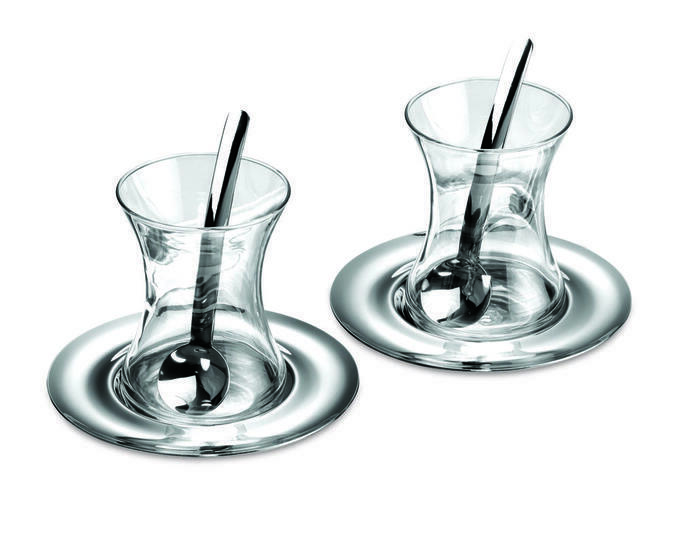 National cups in the shape of a pear, of which Azerbaijani is drinking tea, at first glance seem uncomfortable – because they do not have handles, how to hold a glass of hot tea? But very soon you learn to keep Armudy by the upper wide part. And you know that because of the shape of a pear, tea in a cup retains hot even for long leisurely tea time. It is no wonder that tourists try to bring home a kit Armudy. Glasses can be purchased for 20-30 manats. Traditional crystal option costs cheaper, Armudy painted with colorful patterns – is more expensive. 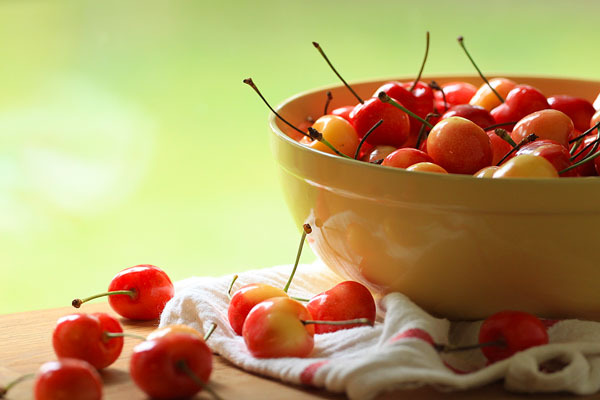 White cherry Jam. Well, what is the tea party without something sweet? In Azerbaijan, for tea are always served jams: quince, walnut, mulberry, strawberry and even pineapple. But the most unusual – white cherry jam. This one is favorite among tourists. If you have already bought a set of Armudu, then buy a few jars of jam for your relatives. The easiest way to do this in conventional grocery stores or supermarkets, for example, the network “Bazaar Store“. Jam is sold in the original factory packaging, in a tightly sealed cans, so do not worry – you will take home this souvenir safely. Tablecloth with Buta. Buta – a national pattern, which is widely used in Azerbaijan. At first sight it may resemble a drop of water, but in fact it is – tongues of fire as Azerbaijan is a Land of Fire. Buta decorates women’s clothes, blankets, capes and tablecloths. The last are made of dense fabric with gold embroidery and look very elegant and unusual. Besides tablecloths are quite practical and washed well. They are just great gift and a way to surprise your friends. Copper cookware. 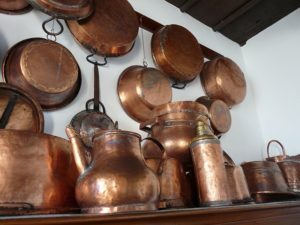 In the Old Town there are numerous antiques shops, where you can buy Plates with stamping, jugs for wine, vases, or even a samovar. Samovar is by the way, still used for its intended purpose, and not only as an interior decoration. In many tea-houses tea is prepared in a samovar. So now you know that when going in Azerbaijan, it is necessary to take a spare suitcase for the souvenirs as there is really much here to buy for the long memory of your Azerbaijan travel.